Copper is one of the major Colorado resorts, located in Summit County between Vail and Breckenridge right on I-70. We’ve driven by it many times on our way to Vail but never made it a destination until December 2014. 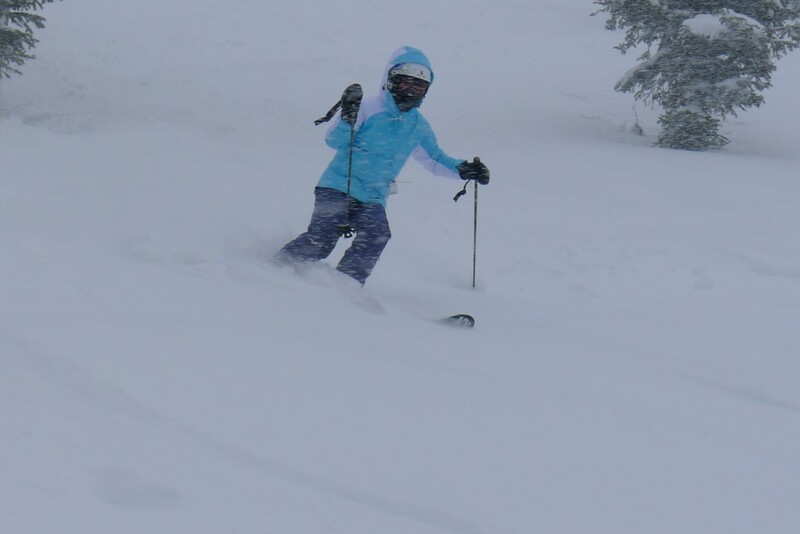 We skied Copper right around Christmas 2014. It was the best skiing of the 14/15 season for us. We hit great conditions with the first day being mostly clear and cold with 1″ of snow overnight and regular snowfalls in the 2 weeks leading up to our visit. 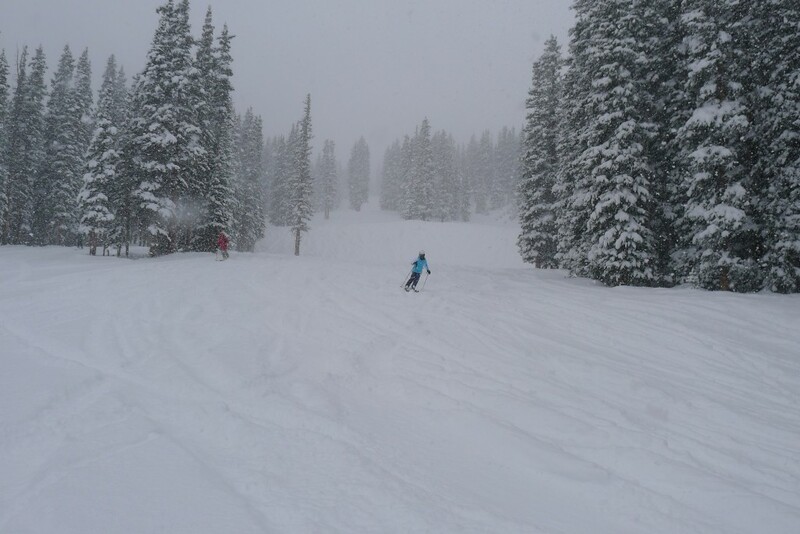 The second day was a very snowy day with 9″ overnight and probably another 6″ during the day. It was awesome. I skied Copper 1 or 2 times in the 90’s under less ideal conditions which tested their extensive snowmaking system. They are often one of the first areas in North America to start blowing snow because they serve as a training location for the US Ski Team in November. The temps are reliably cold, so planning a late December trip is always a safe bet. Copper toutes its “Naturally Divided” terrain which gets progressively steeper from lookers right to left, and a nice separation of abilities on different lifts. This is a huge plus that appeals to people like my parents who used to ski at Copper regularly because they weren’t as afraid of getting run over by more advanced skiers. On paper comparing stats Copper doesn’t seem to compete well with some of the other nearby resorts like Breckenridge and Keystone due to the smaller overall acreage and less vertical, but the numbers don’t tell the story well. 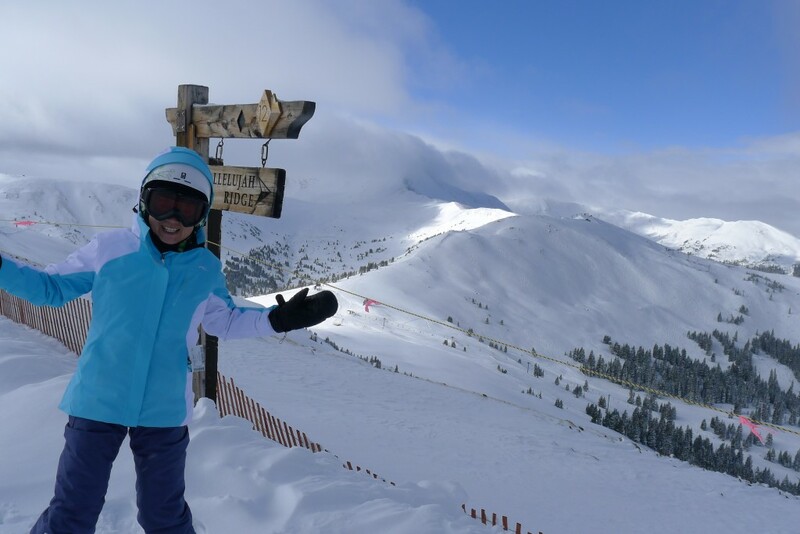 The variety and quality of terrain is exceptional at Copper. It is really an ideal mountain for the development of a ski resort with mostly north-facing slopes with wide runs cut through the trees, and several open bowls. 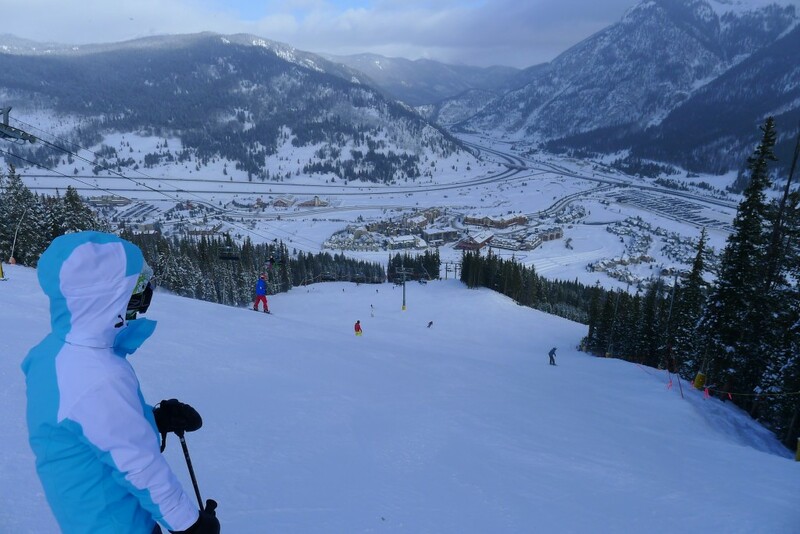 We felt like Copper had everything we were looking for in ski terrain. The lift network is impressive with many high-speed quads and a 6-pack “Super Bee” which was our favorite lift with some great steeper groomers. 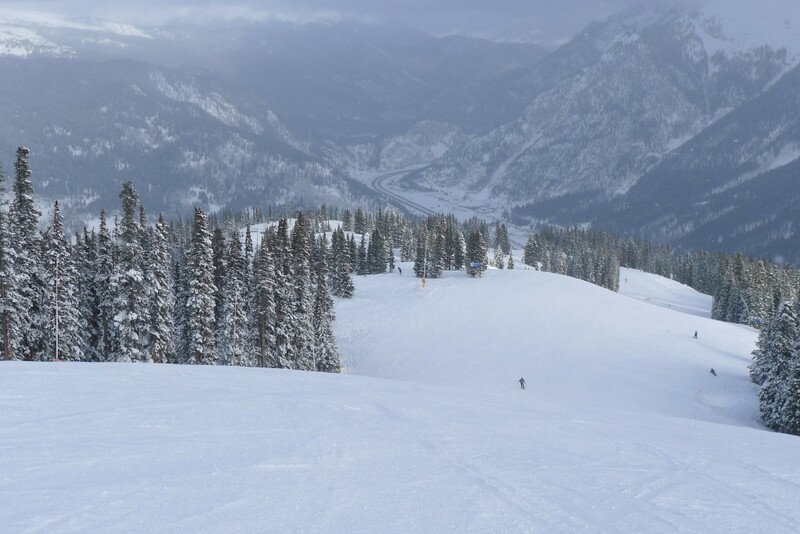 We think “Andy’s Encore” is the very best intermediate run we have ever skied. 2,300 vertical of consistent pitch and perfect snow…it just keeps going on and on. Perfection. We spent some time locating some powder stashes on the 2nd day, which led us to Copper Bowl on the back side. The snow was soft with very little skier traffic. This area of the mountain should get even better next year when a new lift is installed on Tucker Mountain giving lift access to some steep north-facing terrain. The terrain and lift network is so good at Copper that we can forgive them for their crowded lodges. There are lots of non resort-operated choices for food in the village if you are willing to branch out a little and take a little more time walking. Can be crowded due to the easy access from Denver. I-70 is a complete nightmare during storms, so hopefully you stay in Frisco or the village. Snowfall is just slightly below the average for the resorts on our list, ranked 51. 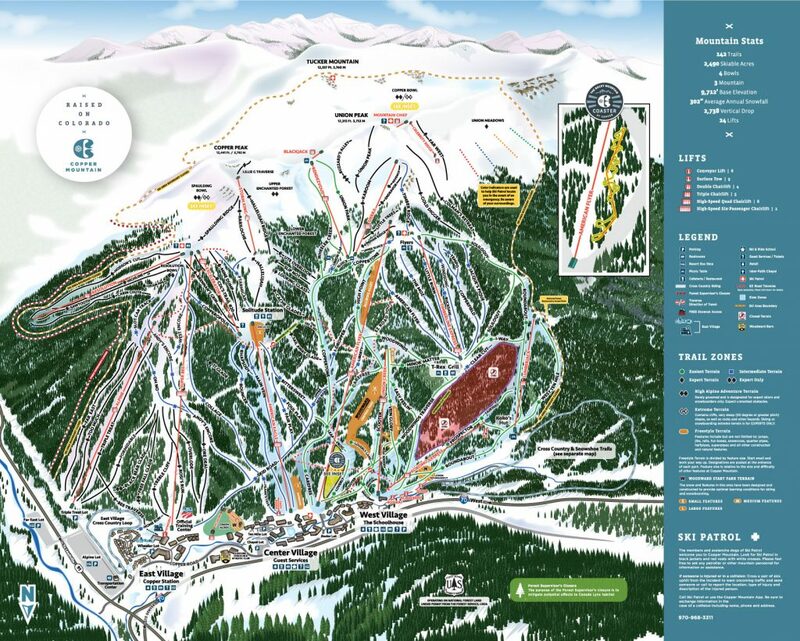 All other nearby resorts except Keystone get more. The high elevation means it can be excessively cold in the heart of winter. Copper has everything we want when we ski and is definitely on our top 10 list. We will definitely go back.